Honey, if you want to keep your marriage do me a favor and don't take your mind on reality television. I swear there is nothing more poisonous to a marriage then showing up on reality television. 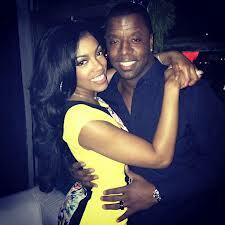 The latest victim of the reality television curse is Porsha Williams and Kordell Stewart. I'm not going to comment of Kordell's supposedly controlling ways or the rumors questioning his sexuality. The only thing I can say is that it's sad to see a marriage broken. Whether or not he's controlling or whatever, Porsha liked it so that was all that mattered. A marriage is between two people and whatever God (or not) that they serve. I honestly don't have an opinion on they're marriage. Now getting back to this reality television curse. I swear I can think of only one couple who managed to survive having a reality TV show and that is Sharon and Ozzy Osbourne. I honestly can't think of anybody else. Jessica Simpson and Nick Lachey didn't make it. Lisa Wu and her husband, whatever his name was, didn't make it. DaShawn and Eric Snow didn't make it. Ochocinco and Evelyn didn't make it (I'm not sure if this one counts but hell they were a reality TV couple). And Lord let's not forget Bobby and Whitney broke up after they did that reality show together. I'm just going to keep Tamar and Vince in my prayers.